To make sure this fine Made-in-Italy wallet will survive your daily use it is manufactured from our usual top grain veg tan leather juxtaposed with microsuede lining. Measuring 10 X 9 CM (3.9”x 3.5”). 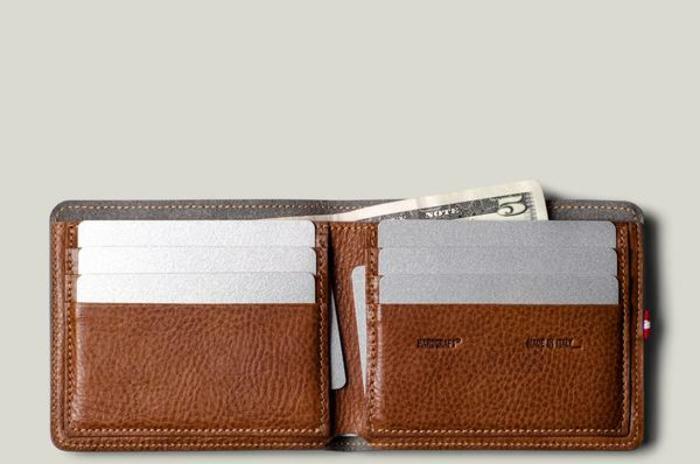 You’ll find 6 credit card slots, BACKDROPPED with two hide-away slots and a cash compartment. It's quite a slim wallet which will fit neatly in your back pocket… and before we forget - there is a FULL MOON cut out on the outside to display your hard earned cash. Made in Italy.